Whether you’re planning an intimate backyard get-together, an office party, a lavish black-tie mixer or your special wedding day, our premium selection of customizable food options provides the perfect touch to help make any occasion memorable. Choose between our in-house catering facility, full offsite service through our Centurion Customer Express catering division, and our DineWell fine dining catering. With over 20 years of catering experience, we can make your event the highlight of the year for all attendees. Our Executive Chef, together with our catering team, serves the freshest in high-quality homemade cuisine. All of our food items are prepared in-house and then delivered right to your front door by our Centurion staff and truck. Therefore, you never have to worry about coordinating with any third parties. We cut out the middle man to prioritize top-notch service, every step of the way, ensuring your satisfaction and optimized quality control. We offer hot catered food in addition to common cold catered options. The choice is yours. Whether you need breakfast, lunch, dinner, cocktail hors d’oeuvres, dessert or beverage options, we have it all. You can select from our flexible packages, a-la-carte options and different portions to create the best menu for your needs, budget and guests. 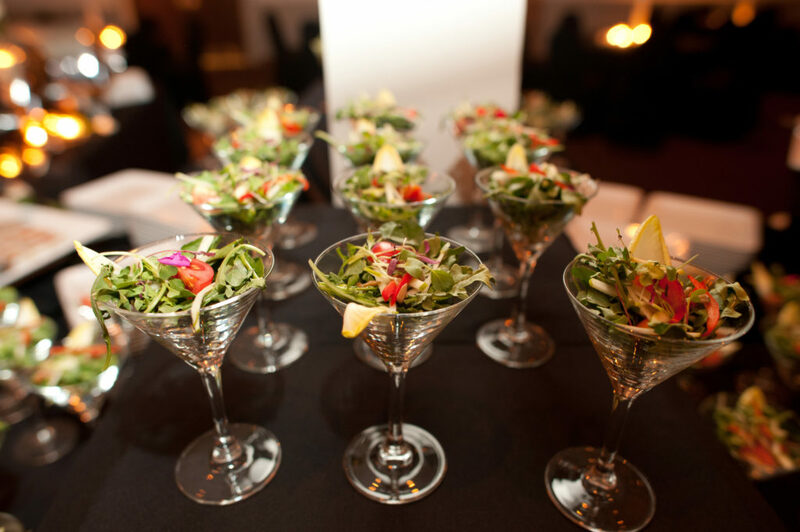 Our award-winning service has made us one of Ottawa’s premiere caterers, specializing in delivering exceptional quality, excellent customer services and customized event planning. You can browse through each of our catering options and menus by clicking on each item in the catalogue. You will see all the menu descriptions and options available along with additions, quantities and special notes. At Centurion Conference & Event Center, our mission is to deliver the highest standard of service and fine food, no matter the occasion. We also offer a professional events coordinator, a 14,000 square foot facility that can accommodate groups as large as 800 people, and more. Our facility includes meeting rooms, an elegant ballroom, business services high-speed internet, and free parking for all your guests. We are located minutes away from major highways and the Ottawa International Airport. There’s also a bus stop conveniently located right outside our facility. Access is crucial for a successful event and we are proud to offer it. Our hardworking catering team at Centurion Conference & Event Center is here to make your next event something truly special. From the moment you reach out to our in-house coordinator or place an order, you’ll experience our friendly and courteous service. We understand that planning an event, big or small, can seem a little stressful at first. That’s why we all come together to ensure your needs are met and expectations are exceeded, taking the hassle out of planning and covering all the angles for you. 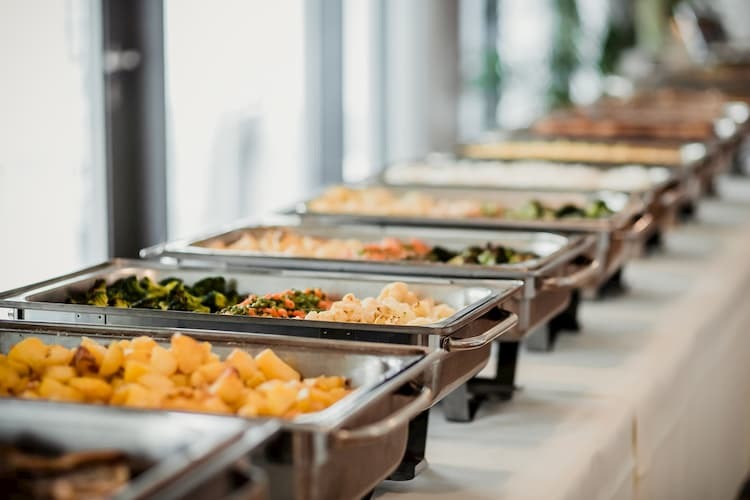 When you contact us for catering services of any kind, we’ll be ready to help you plan your meals, servings, quantities, accommodate for special dietary or allergy-associated requests, and more. Everyone who attends a wedding not only looks forward to celebrating with the happy couple but also enjoying the refreshments as well as a delicious reception dinner. Let us work with you to ensure your ideal wedding reception dinner is realized, achieved by sourcing the best-quality ingredients and tasking our experienced catering team to create stunning, delectable dishes your guests won’t want to miss. We also have plenty of refreshing beverage options and are happy to provide meals in beautifully arranged buffet layouts. For weddings, we will provide full onsite catering services. All pricing is upfront and fully inclusive, giving you greater value. In addition, we’re happy to provide full cash or host bar services – the choice is yours. 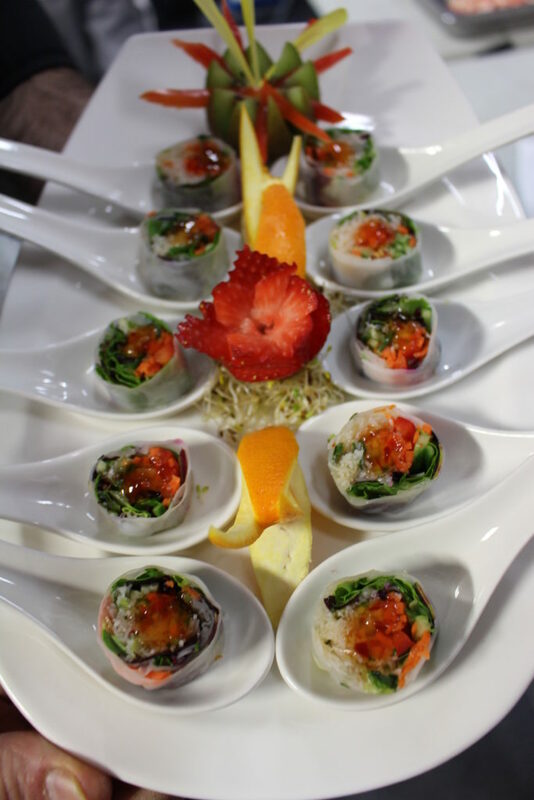 As for the meals themselves, our chef has prioritized delivering a mouth-watering experience to you and your guests. From prime rib and Tortellini con Brodo to Antipasto della Casa and classic, fluffy Tiramisu cake, there’s a wide variety of delectable dishes to choose from. We also offer children’s menu options to ensure your little ones enjoy a great meal as well – chicken fingers, fries, juice, pop, milk, rolls and butter included! We have multiple menus available for you to consult and select from for your wedding. From our Executive Buffet Menu with fresh salads, cold platters, main entrees and dessert to the popular Platinum Package including all sorts of great extras, we’ll ensure you and your guests are happy with the results. 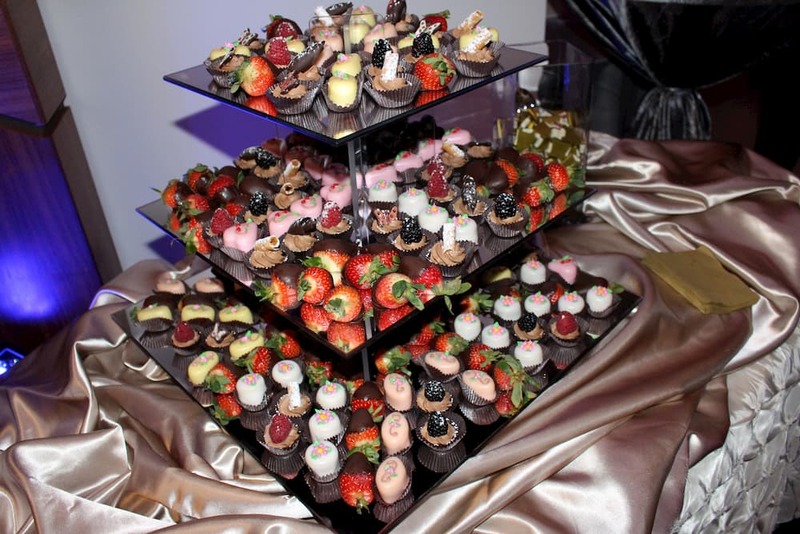 Your special day benefits in many ways with our specialized wedding catering services. We invite you to take a look at our available packages as well as our buffet and beverage menus – there’s something here for everyone, and we would be happy to ensure your needs are satisfied on the big day. Our wedding manager can be reached at 613-727-1044 if you have any questions about the Centurion Conference & Event Center’s wedding catering services. We’ll work with you to provide a quote that works with your budget and needs, going over everything from audiovisual equipment and administration fees to deposits, delivery, storage, billing arrangements, and more. Birthday party? Cocktail reception? Book launch or family reunion? 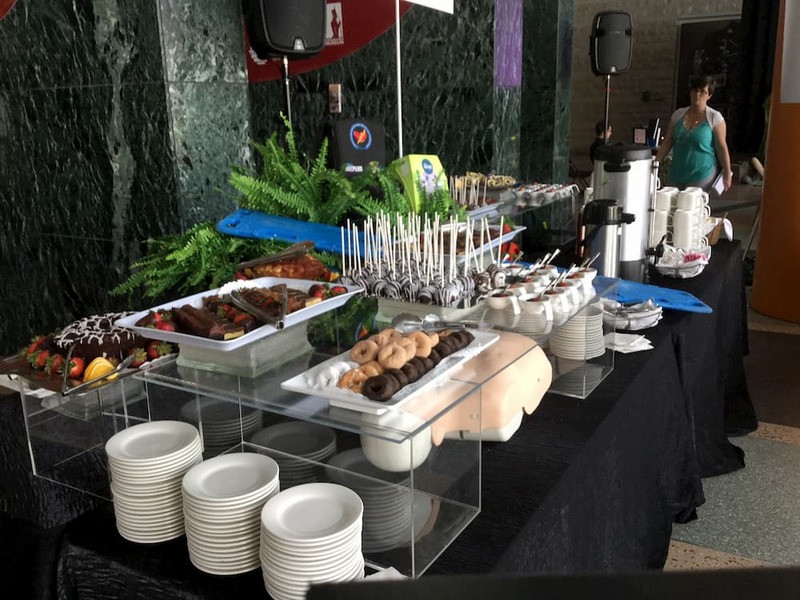 No matter the occasion, the Centurion Conference & Event Center’s catering team can deliver wonderful refreshments and meals at a proper value. In fact, we’ve built a reputation for excellence around our social events, and the expertise of our Executive Chef will ensure delicious food and beverages of the highest quality, perfectly paired to help you celebrate in style. Along with our dedicated and professional service staff, you can expect an elegant presentation and execution of your next social event. You’re more than welcome to have an event catered in our own event centre or, alternatively, off-site at a preferred location of your choosing. All you need to do is reach out to us to make the appropriate arrangements. Our social event menus include everything from hot servings of marinated beef bites to chicken fillet and panko coconut shrimp, just to name a few. We also have interactive designer stations such as a smoked meat carvery or our ever-popular gourmet taco station. 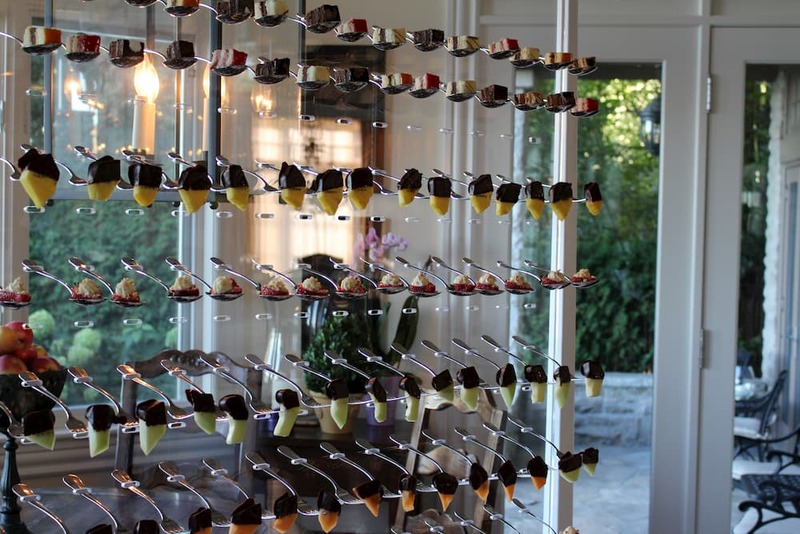 Along with delicious cold-cut servings, extras such as high tea service, brunch buffets, social dinners and more, your choices are anything but limited. Perhaps you’d like professional catering done for your next corporate event. Whether celebrating a product launch, major milestone or employee retirement, our corporate catering services are an ideal choice. We ensure an effective, motivating and productive gathering while delivering the finest-quality food and beverage offerings to help your day go smoothly. Combined with our business meeting facilities and stunning corporate menus curated by our team of chefs, you’re in good hands when contacting us to make a booking. We’re happy to tailor our catering packages to meet your needs as well as work with any special requests. Take a look at our corporate menus or reach out to us today. In conclusion, we are fully prepared to deliver exceptional catering services to any event you have in the works, and with our state-of-the-art events centre, we can also ensure your plans go smoothly. 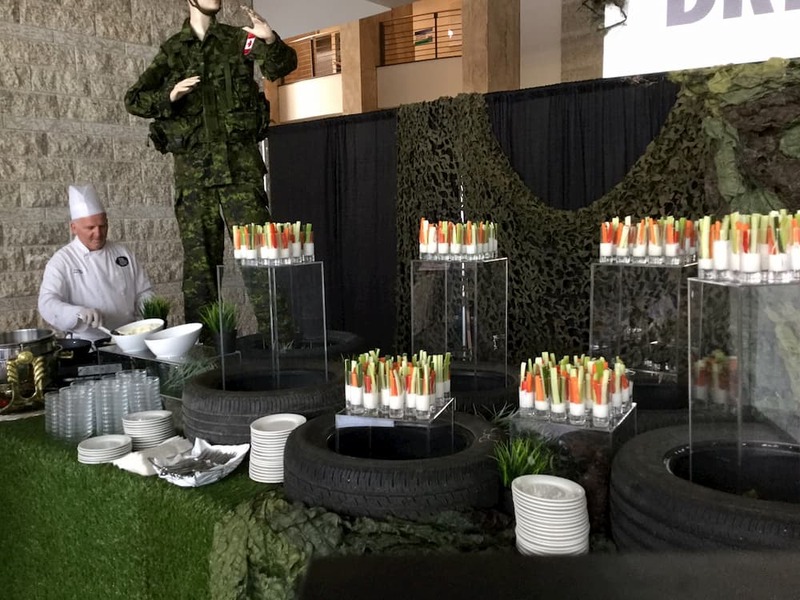 To learn more about how the Centurion Conference & Event Center can assist in your upcoming event, feel free to give us a call directly speak with our in-house coordinator or place an order at 613-727-1044.